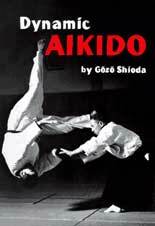 1) Practical Aikido: Yoshinkan Aikido is well known for its efficient, effective and realistic techniques trained by Riot Police, Security Police and Metropolitan Police in Tokyo, Japan. Master Mori Shihan has taught QLD and VIC Police, Commands and Special Forces in Australia, India and Japan. 2) Strong Basics and Safe Form Training: Yoshinkan Aikido is strong in basics, having developed six basic movements to train your body and imprint required moves for applying techniques in a fastest way. It is a great advantage to have the form training style which gives you learn techniques with maximum efficiency and with minimum risk of getting injured. 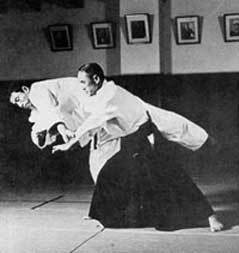 3) Theoretical Methods to learn Aikido Skills: By practicing basic movements and basic techniques repeatedly your body starts reacting any forms of attacks without a moment of thinking. Aikido is something hard to learn at beginning due to its principle of moves-against-instinct, yet we can master the skills efficiently in a methodical class. Gozo Shioda, the "little giant" of Aikido, named for his diminutive height and formidable technical ability, was one of the most outstanding teachers of Aikido, living or dead. Like so many other martial arts masters of aikido, Shioda began his budo training as a youth with judo and kendo, finally discovering aikido as a young university student. He entered the Kobukan Dojo in Tokyo in 1932, where he studied for eight years with Ueshiba Sensei, the Founder of Aikido, until World War 2 interrupted his training. 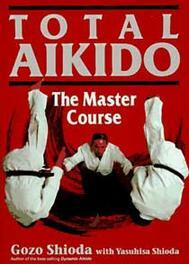 When Shioda became a student of Ueshiba Sensei, aikido was still in its formative stages and was then called Aiki Budo. The character of the techniques and the manner of their execution still bore the marks of the Daito Ryu Aiki-Jujutsu curriculum, which O Sensei had learned. This was a forceful, martial style of aiki jujutsu, concerned primarily with the efficiency and effectiveness of technique in combat. Practice at that time reflected this spirit and was hard, fast and relentless. Shioda Sensei revelled in this form of practice and it undoubtedly influenced the nature of the training methods he put into place at his own school. In 1954, after giving a demonstration at an exhibition of martial arts, Shioda gained financial backing to found a dojo in Tokyo. He named it the Yoshinkan Dojo, which means "to cultivate mind and spirit". Yoshinkan Aikido has become one of the largest aikido organisations with branches throughout the world. 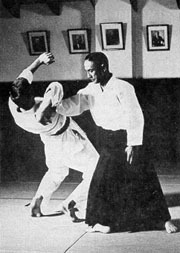 Shioda's style of aikido is what he considered to be a faithful rendering of the pre-war Aiki Budo techniques which he learned first hand from Ueshiba, then at his technical peak. They are therefore much more combat oriented than some modern aikido styles, although the spiritual goals remain the same. Shioda Sensei, a man of unique personal spirit, lived the true budo life, until his death in 1997. Many noted him as Japan's last true budoka. The Yoshinkan remains true to the tradition of Ueshiba's famous Jigoku Dojo (Hell Dojo), and provides an aikido with dynamic realism well suited to the needs of self protection and the discipline of the spirit.